Rattle & Sway. Number 5 in the second volume of our limited-edition Summer Kitchen Series. Click here to order your copy. 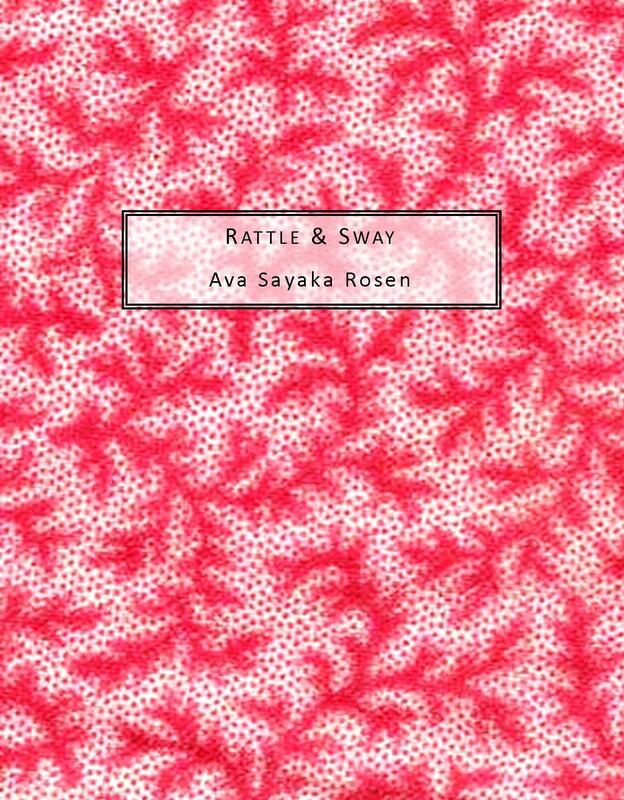 Ava Sayaka Rosen grew up in San Francisco. In June 2009, she studied at the University of Hyderabad and traveled throughout India, inspiring Rattle & Sway. She is constantly experimenting with style and voice, but this collection is her firts effort at the prose poem. At the University of California, Santa Cruz, she was introduced to letterpress, printing, and bookbinding. For two years, she was editor of UCSC’s longest-running literary magazine, Chinquapin. In June 2010, she graduated with a Bachelor of Arts in Literature and Creative Writing, and continues to pursue her passion for poetry and the book arts. Please click here to purchase Ava’s chapbook.